Verbal abuse permeates our culture — from the privacy of our own homes to the public glare of our schools, workplaces, and other institutions. But you don’t have to live with it. With Patricia Evans’ assistance, you’ll achieve the clarity you need to build a new life — far from senseless accusations, wounding words, and confusing comments that have taken an untold toll on your psyche. You’ll find validation, and learn to believe in yourself — and a better future — once more. 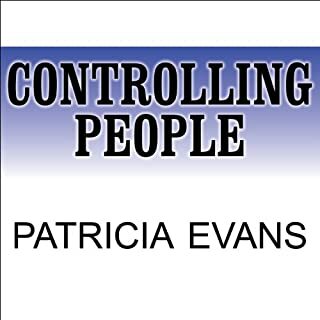 A little too "healy feely"
In Controlling People, best-selling author Patricia Evans tackles the "controlling personality" and reveals how and why these people try to run other people's lives. 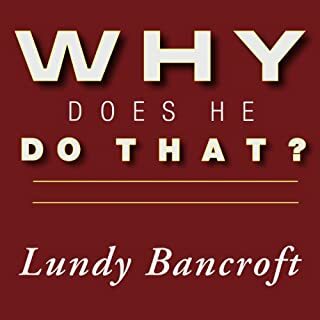 She also explains the compulsion that makes them continue this behavior - even as they alienate others and often lose those they love. Should you ever find yourself in the thrall of someone close to you, Controlling People is here to give you the wisdom, power, and comfort you need to be a stronger, happier, and more independent person. Wow, Wow, Wow!! Powerful Healing Insights! 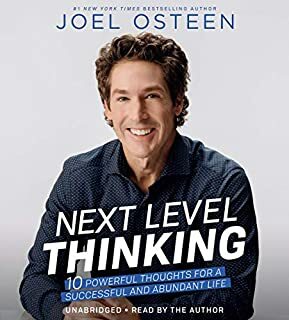 If your partner: seems irritated or angry at you several times a week, denies being angry when he clearly is, does not work with you to resolve important issues, rarely or never seems to share thoughts or plans with you, or tells you that he has no idea what you’re talking about when you try to discuss important problems…you need this audiobook. 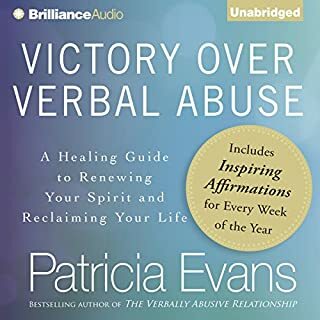 Coupling stories of abused women and abusive men from her own case studies, Patricia Evans here gives you the tools you need to transform your relationship. Most important, she assures you that such a transformation is possible—given the right circumstances. Evans also helps you determine if your abuser really has changed—or if he’s merely creating the illusion of change. 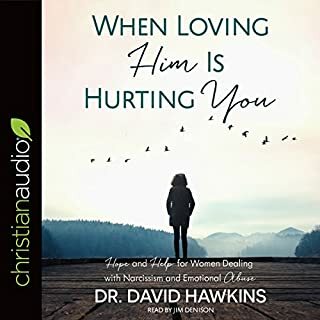 And if he hasn’t changed, Evans helps you decide whether it’s time to leave the relationship—and what to do when it is. 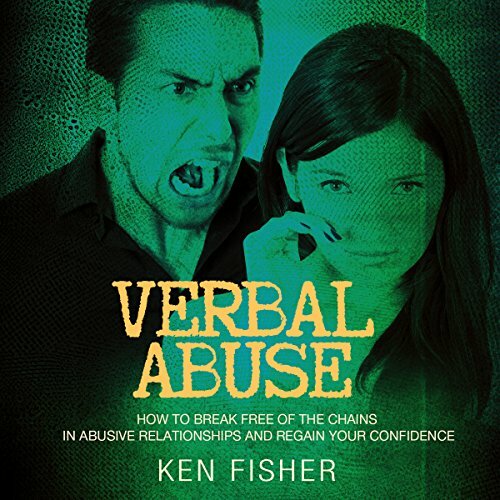 One of the most insidious forms of abuse in the world is verbal abuse. Verbal abuse is so powerful that just a few words can damage your ego. People who are forced to live with verbal abuse for a long period of time are naturally damaged, both physically and mentally. Certainly this abuse takes its toll, but the effects of it do not have to destroy your life. 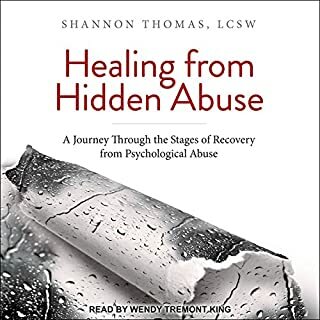 If you are verbally abused or have been verbally abused, this book is your first step on the healing journey. I am a verbal abuse survivor myself. I understand firsthand how badly this type of abuse hurts your ego and cripples your future relationships. You may feel like you are falling apart or that you are worthless, but those feelings are not true. They are just the effects of abuse. One day you will heal, as I did. I am here to show you how to fully love yourself and shake off the reins that your abuser has held over your head for so long. Are you ready to take back your power and take back your life? Then start this healing journey with me today and transform your life for good. I can't wait to help you feel better.